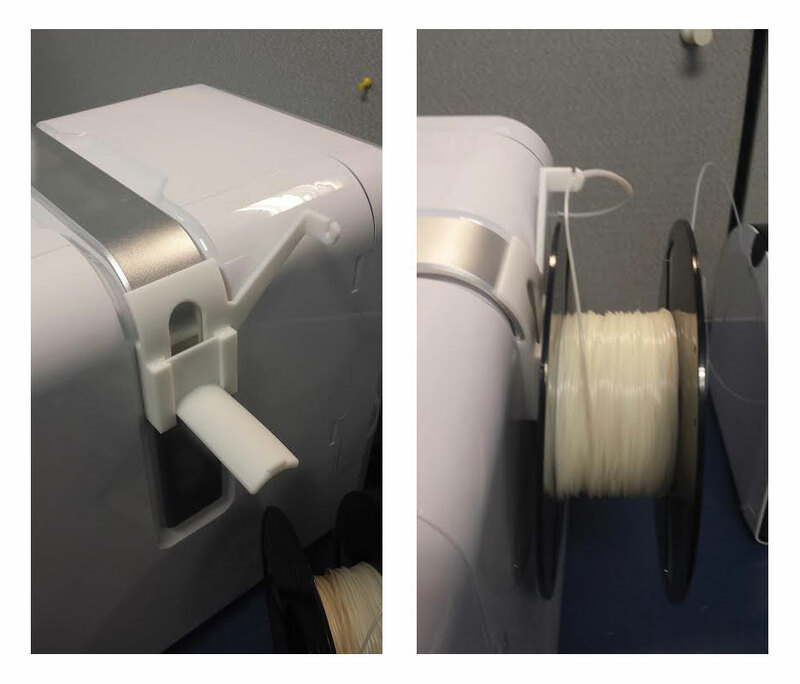 To use Afinia 1 kg Value-Line filaments or 3rd party filaments that do not fit into the external spool holder, print this alternate external spool holder that clips onto the handle on the right side as you are facing the printer. 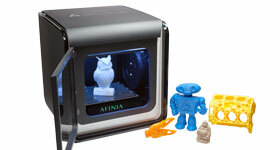 Use the link below to download the file and print it with your H400 or H400+. Slide the upside down U-shaped piece down and around the edges of the handle until the curve rests on the curve of the handle. Install the spool shaft by sliding the round edges of the flat end into the slots in the upside down U-shaped bracket. This will hold the bracket in place. Use the filament tube from the original external spool holder.